Hi! 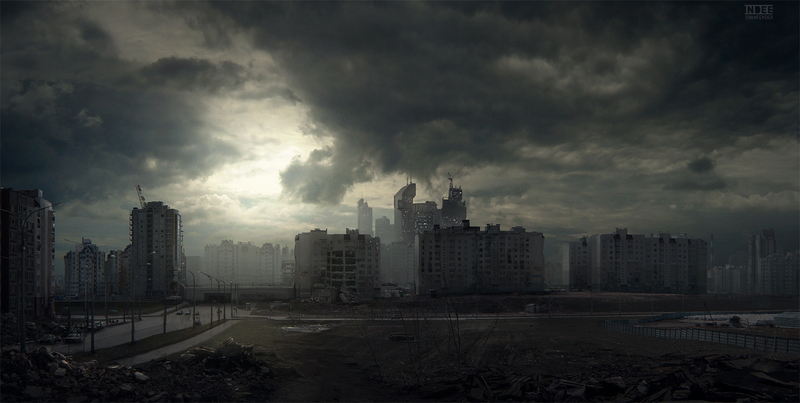 this is a mattepainting/concept of a destroyed city with a wall enclosing the center of it - rich, powerful stronghold, the beacon of civilization. i made it in about 8 hours, used 20 reference photos of buildings & textures and a lot of digipainting.